Working on this home was a little more fun than most because of the theme we established up front. The customers loved their favorite vacations staying in the rustic retreats of the Colorado mountains. 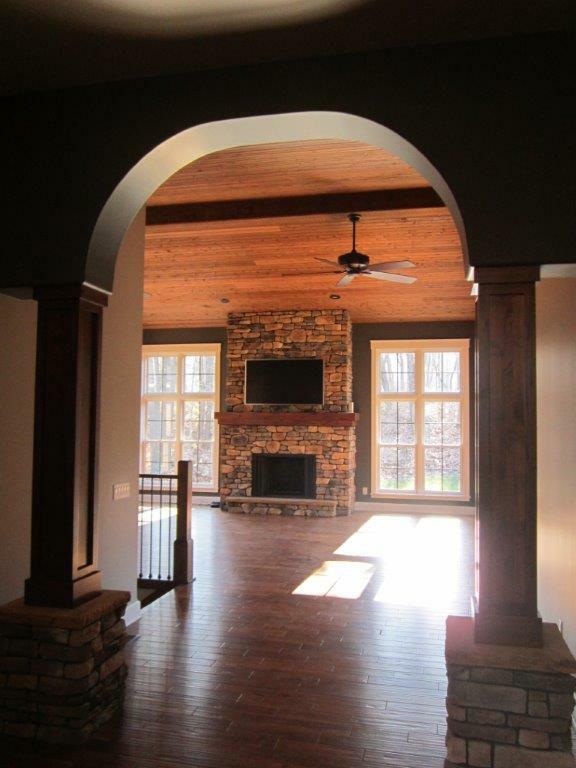 This 4 bedroom, 5 bath home incorporated a lot of natural wood products on the exterior and interior. Wood paneled ceilings pillars and interior stone elements combine with a large open wood staircase that really captured the essence of western architecture. 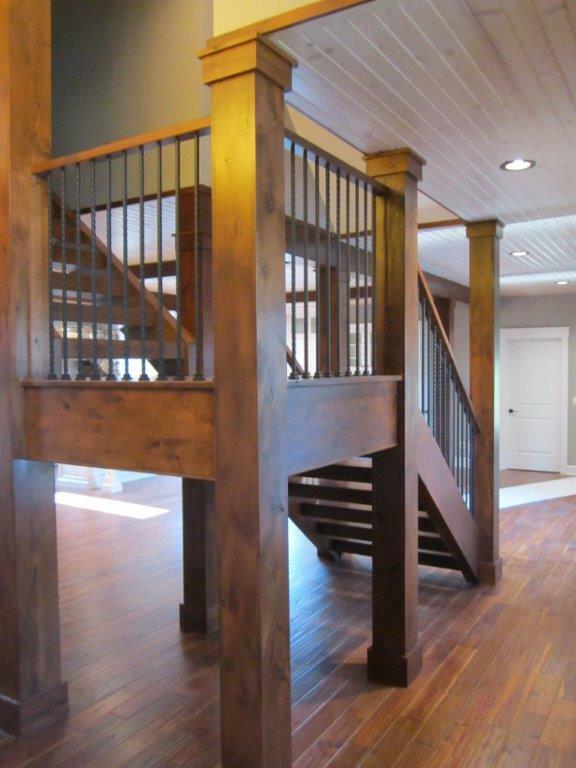 The Amish built cabinetry, hardwood and custom tile floors creates a high end finished feel throughout. Another feature consistent with a custom Shultz home is the covered outdoor patio with stone fireplace and high wood planked ceilings. This space also includes a bathroom that is accessible from the swimming pool and back yard amenities. The lower level also has a rec room, pub style bar, exercise room and crafts room to complete the exclusive living environment our customers sought.